Freshwater habitats, such as rivers and lakes, support a number of legally protected species. 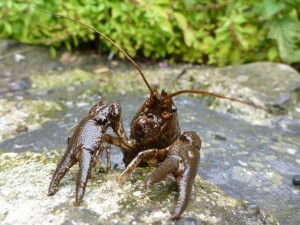 Species such as the freshwater pearl mussel (Margaritifera margaritifera), otter (Lutra lutra) and white-clawed crayfish (Austropotamobius pallipes) are protected under the Habitats Directive, listed under Annex II, and also under the Wildlife Acts 1976 to 2012. Developments that may impact on freshwater habitats that support these species may require baseline and monitoring surveys to be carried out. BEC Consultants staff are experienced in carrying out surveys for these protected species and can assist in the planning and execution of the surveys and any related mitigation measures. Under the various pieces of nature conservation legislation, licences may be required from the National Parks & Wildlife Service for carrying out surveys or any works that may disturb protected species. BEC Consultants’ staff have carried out numerous such surveys under licence. BEC Consultants can assist in preparing applications for licences and derogations under the relevant legislation.